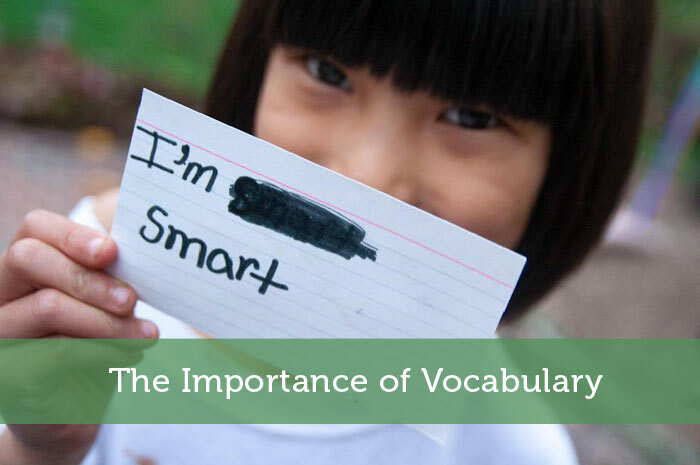 The following is a guest post about the importance of vocabulary. If interested in submitting a guest post, please read my guest post policy and then contact me. Imagine one day you talk with a friend who says, “I think I’m going to be successful.” The following day you talk with another friend who says, “I know I’m going to be successful.” Reflecting on these conversations, who are you more inclined to believe will be successful? Your first friend used the word “think”, which is defined as “to consider something as possible”. Your second friend used the word “know”, which is defined as “to understand as fact or truth”. Which is more certain? Law of Attraction followers believe everything, including words, has energy. The words we use send out vibrations and, because like attracts like, corresponding circumstances and people come into our lives. An alternative theory is that our words set in motion a self-fulfilling prophecy. If I say, “I am going to fail the test”, my actions or lack thereof may result in me failing the test. 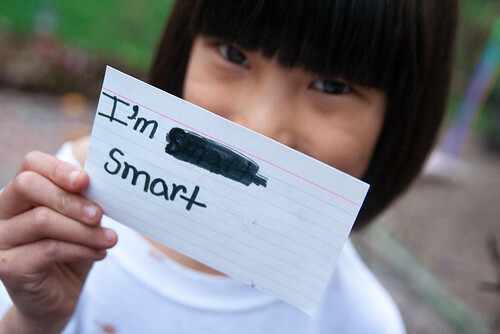 If I say, “I am going to ace the test”, my actions may result in me acing the test. What does this have to do with money and personal finance? The words we use to describe our personal financial situation are important. Whether through the Law of Attraction or self-motivation, our word choice can dictate our financial success or failure. By controlling our personal financial situation with the words we use in speech and thought, we position ourselves to become all that we are capable of becoming. At one point or another, most of us earn an hourly wage and are considered wage earners. A wage earner works for wages. They are reliant on someone to compensate them for their efforts and maintain employment. They are reliant on someone else for basic necessities. Through no fault of their own, a wage earner may find they are in financial trouble because of a demotion, wage cut, health issue or job loss. A wage earner must live up to the expectations of others, whether realistic or unrealistic, to be successful. They must show up for work on time, work enough hours and not become a liability. They must put the needs, expectations and desires of others above their own. The sooner a wage earner adopts the word and believes they are a saver, the sooner they become less reliant on others. A saver pays themself first. They put aside a portion of each paycheck to attain future financial goals and avoid wasteful habits, such as overspending and overconsumption. With three to six months worth of living expenses in an emergency savings account, a onetime wage earner is no longer solely reliant on someone else for basic necessities. A saver can absorb financial troubles caused by a demotion, wage cut or job loss. Once a saver adopts the word and believes they are an investor, they start to invest a portion of their savings. This makes their earned wages work for them. By investing consistently and regularly a saver becomes even less reliant on someone else for basic necessities. Through the powers of dollar cost averaging and compounding interest, the personal wealth of an investor may grow so much that their investment income exceeds their cost for basic necessities. With enough savings and investments, a debtor, borrower or renter may become an owner. To say one borrows something conjures up different images than to say one owns something. Consider this extreme example: “I am borrowing this yacht” compared to “I own this yacht”. A debtor, borrower or renter typically pays a fee or a rate of interest for borrowing from someone or something, such as a landlord or bank. This adds a premium to what is being borrowed and may result in no eventual ownership. A debtor, borrower or renter is also at the mercy of meeting the expectations of the owner. An owner posses something and has all the rights and responsibilities that come with ownership. Owners have equity. Owners may lend what they own for a fee or rate of interest, which may increase their personal wealth and investment income. Going from wage earner to saver and then saver to investor is the transition from financial dependence to financial independence. Financial dependence is the reliance on someone else for basic necessities. One who is financially dependent is, like the wage earner, is reliant on someone else. Financial independence is defined as “having sufficient personal wealth to live, without having to work actively for basic necessities”. One who is financially independent has investment income that exceeds their cost for basic necessities, thus eliminating the need to work for someone else. By adopting and using the words savor, investor, owner and financial independence, someone who was once a wage earner adopts a different world-view. They are not reliant on someone else for basic necessities. They make decisions based on their own needs, expectations and desires. They avoid wasteful habits, such as overspending and overconsumption. They own more than they borrow. They maintain financial independence through investing. They read and understand politics, finance and economics and how all of these impact their financial independence. With financial independence, a onetime wage earner is no longer focused on maintaining food, shelter and security. Instead their energy is used to achieve Abraham Maslow’s highest level of psychological development, self-actualization. That is “to become more and more what one is, to become everything that one is capable of becoming.” This may include becoming a philanthropist or entrepreneur. It may include early retirement or investing in their loved ones’ successes. The words we use dictate how the Universe responds to us or how we respond to the universe. Adopting stronger words in our vocabulary require subtle, but important changes if we are to become financially successful. Start using stronger words today and set in motion your financial success to become everything you are capable of becoming. If you enjoyed this article, you may also enjoy “How Are Fleetwood Mac, Adele and Your Problems are Alike” by Debt Free Guys. For additional articles and financial commentary from us, please visit www.debtfreeguys.com. This is so true. Even simpler words such as can and will are super-potent, as opposed to can’t and won’t. Over the course of a lifetime the sum total of the words you hold and think about everyday are going to affect not just your wealth, but overall happiness and self-esteem too. We couldn’t agree more. Sometimes just changing your vocabulary can change your day. As you say, those days lead to a lifetime. Thanks for commenting. I strongly believe in the power of words. Even just changing one word out for another, as demonstrated in the beginning of this post, is very powerful. Agreed. It’s such a simple change that can be so hard to make. As Steven Covey used to say, “We make our own weather.” Thanks for commenting. Language is powerful because it not only describes the world we see, it also defines our understanding of it. If we see ourselves as investors and “owners” we will react in ways that fulfill that self-image when faced with a decision. It’s a powerful understanding that few benefit from – we are what we think we are. Thanks, Jack. I love the way you put it, “it not only describes the world we see, but it also defines our understanding of it”. It’s so true and why we think it’s so important to surround ourselves with positive, motivated people. Negativity spreads and that’s dangerous. Thanks for commenting. Words are indeed powerful and I agree with you that the way we use or speak these words can affect our finances. Great stuff right there! Thanks for commenting. Words are powerful. We often don’t attribute the power of works to money, but they do affect every aspect of our lives. Have a great day. I enjoyed this post. A reminder that our words have the power to influence not only our own behavior, but that of those around us. The words you use can affect the outcomes in life situations. Thank you. It’s always helpful to check ourselves from time to time. Our words and thoughts are powerful. Thanks for commenting. Powerful words. PMA (positive mental attitude) really does count for a lot when it comes to outcomes! PMA. I like that, Derek. Thanks!